Every time I've prepared this roast oolong, the day has been overcast and misty, if not raining. I strongly recommend it for those kind of days, but before I share my complete notes, I want to introduce the tea company. Song Yi Tea is a fourth generation tea company based in Taiwan. The original plantation located in Nantou County dates back to 1898! In addition to the Roast Lishan, Song Yi also offers Dongding, Alishan, Shanlinshi, Jinshuan, Tie Guan Yin, and Sun Moon Lake Black. Some of these teas come in straight and roast versions. 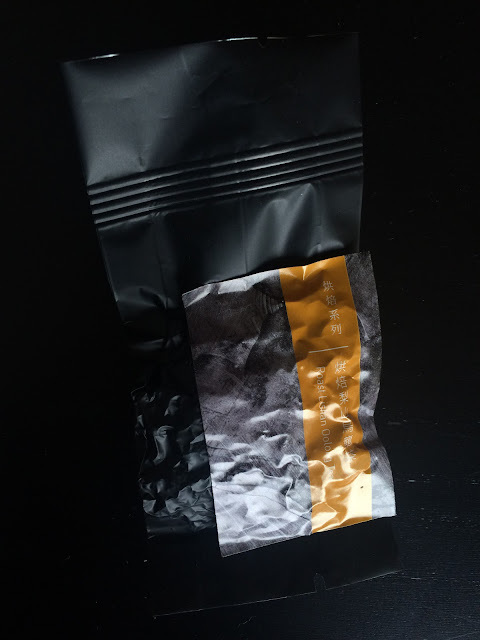 I received a sample pack from Song Yi and today I review the Roast Lishan Oolong. I prepared this tea again steeping 5 grams in 5 ounces of 195F water with 30-second infusions. The rinsed leaves smelled like sweet roast and nuts. The first cup was light bodied, sweet and fruit. The second infusion had an upfront roast and sweet char and a lingering tart, red fruit. The third infusion still had an upfront roast but with less edge. The fruit was still present though it was ephemeral. The lasting note was woody. The fourth cup had a softer roast note. The sweet char was back but the fruit has disappeared. The woody taste was aged cedar. I find that roast oolongs can be hit or miss. Many are over roasted. This Roast Lishan Oolong had a strong roast note but it did not dominate the many other lovely flavors. 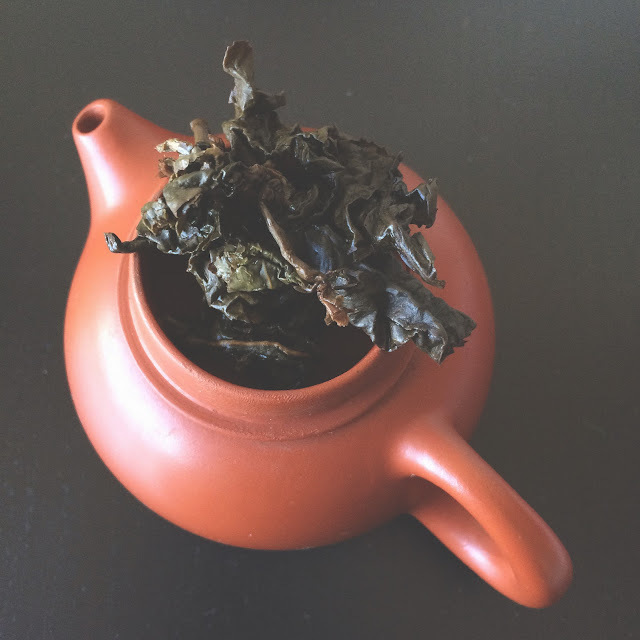 The second infusion in my first session with this oolong was outstanding! 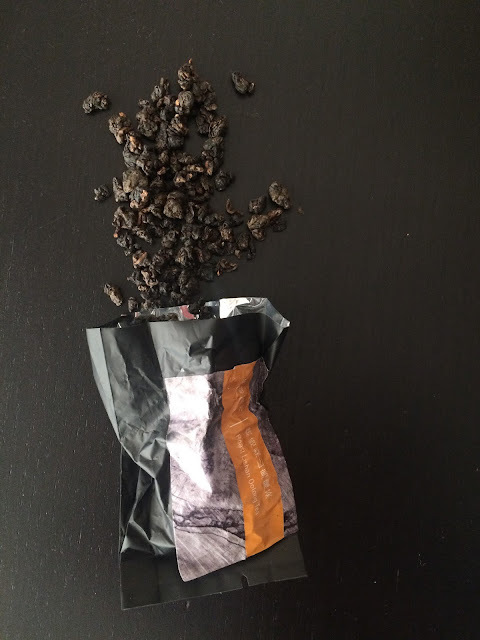 Smooth roast, nutty, fruity; infused leaves smelled like charred vegetables. However I preferred the second session with this tea. If you buy this tea, try it both ways and let me know your preference. Roast Lishan Oolong provided by Song Yi Tea.